Rock Springs FL Engagement. 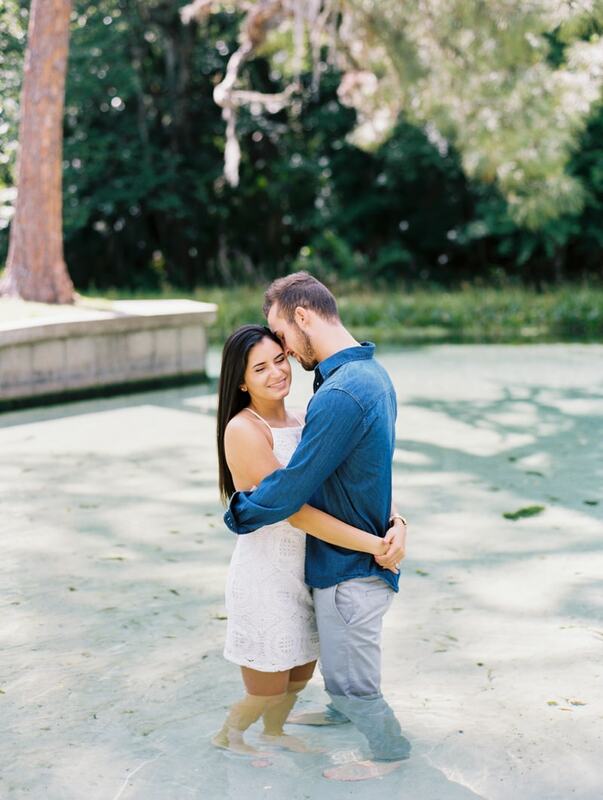 Jennifer and Luke’s engagement session shows us a side of Florida we rarely see. 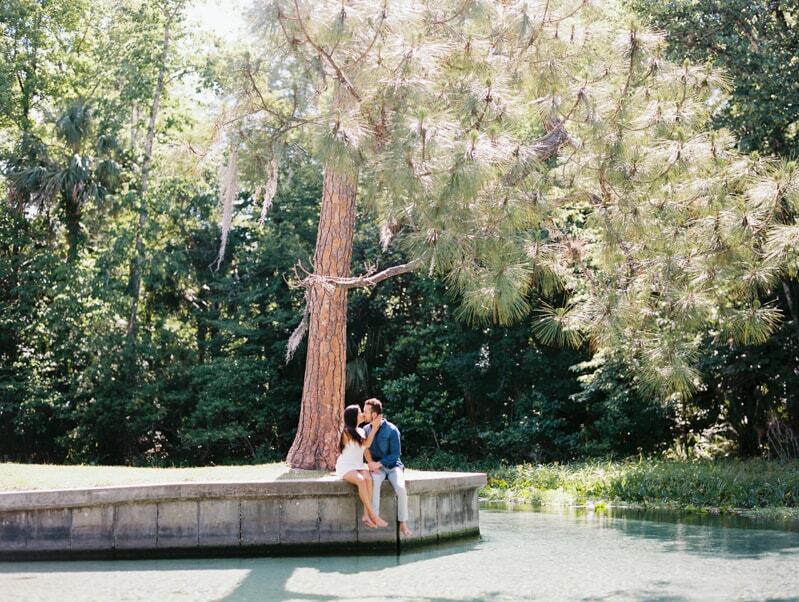 The couple embrace the Sunshine State's lush amenities at Rock Springs Run State Park that include bubbling springs, towering oak trees, enchanting crystal clear water and more. 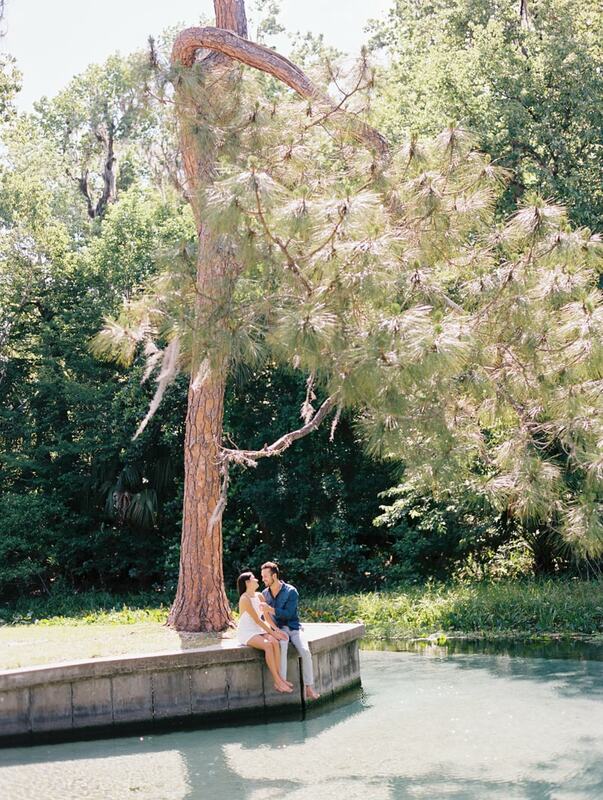 This engagement session is tranquility at its very best. On a bright sunny morning, Jennifer and Luke make their way deep into the park to find an idyllic spot for their photos. Jennifer dons a dusty rose-colored maxi dress and Luke keeps it cool in a white button down shirt and jeans. But of course, they complement one another with beaming smiles. The water slowly trickles behind them as they embrace both the warm day and each other. The sunlight drips in through the treetops to create a mesmerizing radiance above. Jennifer and Luke's engagement is simple, keeping the focus merely on their genuine interactions with each other to highlight the best facets of their relationship. Luke helps his barefoot bride up off the rocks as they continue through the park. A small bridge sits behind them as Luke literally sweeps Jennifer off her feet. They take a few more photos before changing for the second part of their shoot. Sitting on a small ledge overlooking the water, Jennifer looks like a brilliant bride in white while Luke changes into a dark denim shirt and light pants. They save the best part of the shoot for last – and you can see why. They come down from the ledge and wade in the water, creating an utterly romantic image. While many folks find the park to be the place for tubing, swimming and fishing, Jennifer and Luke found a way to make it a romantic experience on camera. With the canopy of the trees overhead and the refreshing water right at their fingertips, this hidden gem is Florida's best kept engagement secret.